Learn in this review why Hour LTC is an investment scam that you have to avoid. 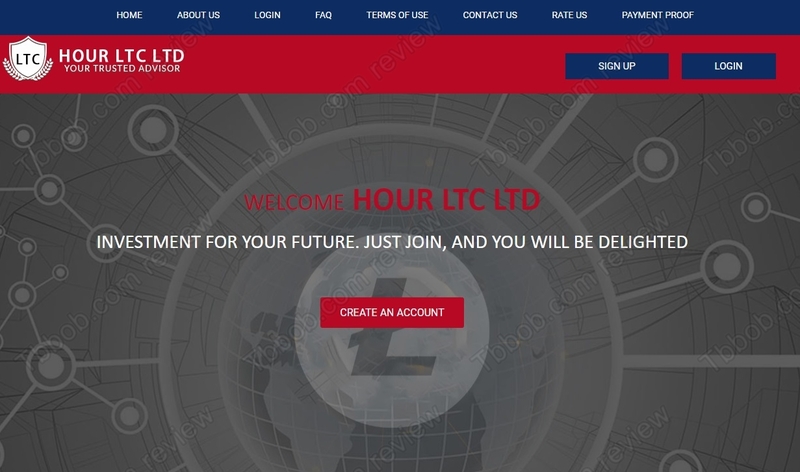 Hour LTC claims to be an international company that does business in consulting, stock trading and crypto mining. It offers several investment plans with more that 100% returns per day. So, can you really double your money every day with this program? Hour LTC is of course just a scam, it cannot be anything else, because no legitimate business in this world can double your money every day. These are basic things that everybody should be aware of. You should be able to spot such a scam just by looking at the numbers. Forget about the registration that Hour LTC is showing. It doesn’t say anything about the legitimacy of the company, it is just a tax registration in the UK. If Hour LTC was legit, it would have an investment license from the Financial Conduct Authority. But as you can see on our picture, it is not registered with the FCA, therefore it is completely illegal. Hour LTC is a Ponzi scheme, which means a scam. There is no real business activity going on, they just play with deposits to pay some profits and attract more people into the system. Once they have enough money and deposits start declining, they will shut the operation down and disappear. Hour LTC is a simple scam, it will accumulate money from people and then close down. Stay away from it! If you are interested in true cryptocurrency trading, try it first risk free on a free demo with a regulated broker. You will se that it is possible to make money with cryptocurrencies, but not 100% every day.